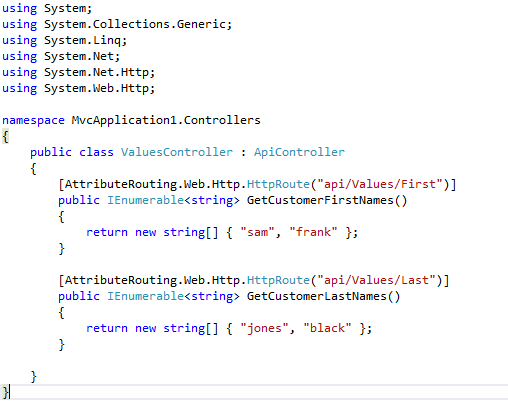 One of the new things that seems to have past me by when working with ASP MVC / Web API is Attribute Routing. This is not intended to be a big blog post, but will show you one reason why Attribute Routing is useful. Now that we have the infrastructure in place we can start to use the new RoutingAttribute types. Which I personally find much easier than defining loads of custom routings manually. Ok they are still manual, but I do find attributes easier to use. 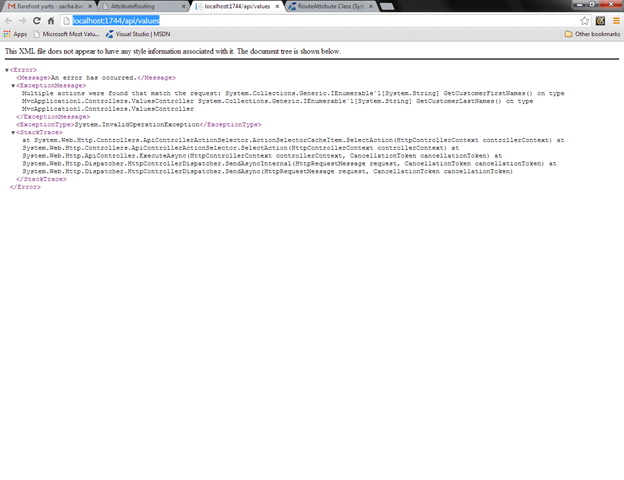 I have just shown one thing that the new AttributeRouting NuGet package allows. For more information you can see these few posts which are more in depth.